Maryam Mirzakhani, a professor of mathematics at Stanford, has been awarded the 2014 Fields Medal, the most prestigious honor in mathematics. 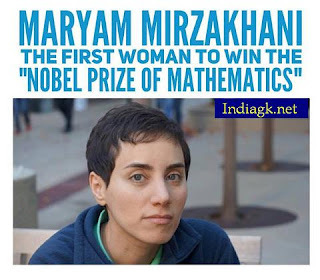 Mirzakhani is the first woman to win the prize, widely regarded as the "Nobel Prize of mathematics," since it was established in 1936. Fields Medal is awarded every four years by the International Mathematical Union to outstanding mathematicians under 40 who show promise of future achievement. With the announcement of Mirzakhani and this year's other awardees—Arthur Avila, Manjul Bhargava, and Martin Hairer—there now have been 54 male and 1 female medalists. 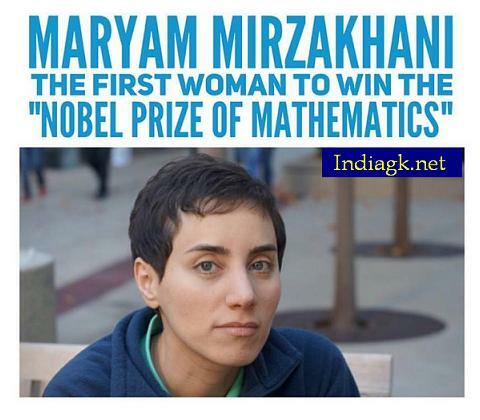 Mirzakhani, who grew up in Iran before earning her Ph.D. at Harvard and becoming a professor at Stanford, told the Clay Mathematics Institute in 2008 that she did not initially realize her strength in math: "I don't think that everyone should become a mathematician, but I do believe that many students don't give mathematics a real chance. I did poorly in math for a couple of years in middle school; I was just not interested in thinking about it. I can see that without being excited mathematics can look pointless and cold." Being the first female to win this prestigious award, people are considering this the first sign of many changes for the future. According to the National Academy of Sciences, studies show no biological differences that would explain the low representation of women in STEM academic faculty and leadership roles.